Alan Rusbridger has said the Guardian is an example of a “rather successful model” for public interest journalism in response to a claim the paper was reduced to an “economic basket case” under his editorship. Former Daily Mail editor Paul Dacre attacked the Guardian and Rusbridger during his keynote speech at the Society Of Editors conference on Sunday. He said: “…the once-profitable Guardian had been reduced to an economic basket case, by vanity, hubris and eye-watering financial misjudgement”. 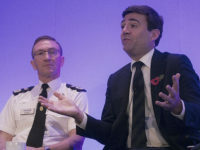 It was revealed by current Guardian editor Kath Viner the following day that the title had received donations from more than 1m readers since March 2016 and remained on track to break even financially by April next year. Speaking at the Impress inaugural Trust in Journalism conference in London this morning, Rusbridger (pictured) rejected Dacre’s claims. “The Guardian has £1bn in the bank – no we didn’t spend it all – and it says it will break even in 2019,” he said today. Dacre took particular aim at the decision to expand the Guardian’s presence in America and move its print edition to a Berliner format. Speaking to Press Gazette, Rusbridger added: “We thought long term. We had a business plan that was made by the commercial department, not me, and it’s now bearing fruit. “He ridiculed our move into America but the Guardian says America will be making a profit. Dacre then moved into America. We moved into Australia, that’s making a profit. In 2017/18 Guardian Media Group reported profit before tax of £53.2m, up from a loss of £25.1m the year before. Viner and GMG executive officer David Pemsel are undertaking a three-year plan to restore its finances. 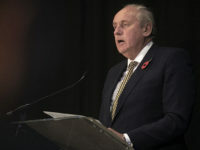 During his speech, Dacre, who is now chairman and editor-in-chief of Mail publisher Associated Newspapers, also criticised the Guardian’s publication of the National Security Agency files leaked by Edward Snowden. But Dacre said he believed the Guardian should have “the freedom to carry such stories”. Rusbridger told Press Gazette: “That’s fine. I respect people’s ability to make different decisions about different stories. “My problem was with members of the British press who adopted the argument that if the British Government tells us not to run the story then we shouldn’t. Asked if he respected tabloid journalism, Rusbridger said: “It’s always a tired argument they use against Nick Davies, because he wrote about a tabloid paper that had become completely corrupt, he held power to account, which is what journalists should do, but Dacre and others turned around and said: ‘Here’s a man who hates the press’. “I think it’s really interesting that Geordie Greig’s Daily Mail is very different from Paul Dacre’s Daily Mail already. 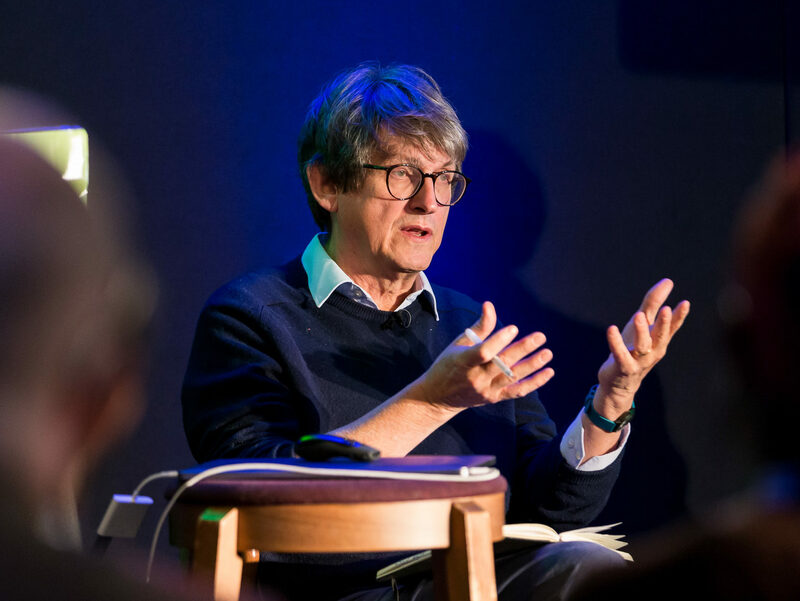 In his keynote speech today, Rusbridger discussed the space for charitable journalism. He said publishers had to consider the possibility that the market could not support public interest journalism and had to consider “news organisation that began with the public interest and if they incidentally made profits, that would be great”. Asked if he wanted the Guardian become a non-profit, Rusbridger said: “At the moment it’s on the right track – it’s a hybrid, which it’s always been.